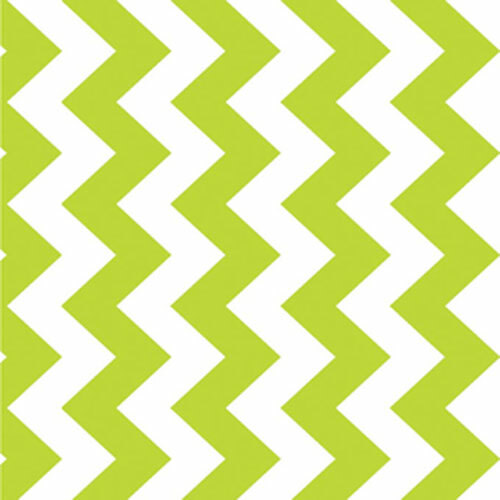 Riley Blake Designs Chevron fabric in lime green and white. The stripe runs vertical to the selvage edge. Suitable for quilting or apparel.